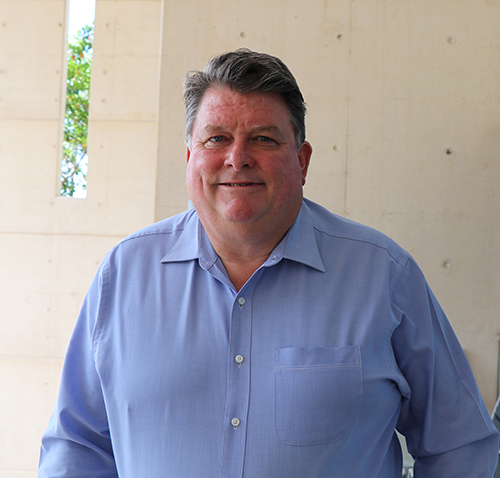 Brett took up the role of Director of the Minerals Industry Safety and Health Centre (MISHC) at the end of January after more than 40 years’ working in industry. During that time he held numerous industry safety and health roles including as Chair of the Queensland Mines Rescue Service, Queensland Resources Council representative on the Coal Mining Industry Legislation Safety and Health Advisory Council, as a member of the Queensland Government’s Moura Disaster Implementation Task Groups, and as one of two individuals chosen by the New Zealand Government to audit safety conditions in all New Zealand underground mines in the aftermath of the Pike River Disaster. You have had a long career in industry, why did you decide to make the move over to research? You are correct it has been a long time, 41 years since I started in Wollongong as a trainee with Australian Iron & Steel Collieries. The history of MISHC with people such as David Cliff, Robin Burgess-Limerick, Carmel Bofinger and of course Jim Joy’s long association were immediate reasons to join. MISHC is at the forefront of delivering good practical outcomes from sound research that culminate in improved site safety. We are at an interesting stage in health and safety management, not only in the mining industry but industry in general, where the importance of our employees and stakeholders’ health and wellbeing is of the highest order. The opportunity to be involved in the research and the application of the findings was an opportunity not to be missed. What do you think are the biggest challenges facing industry in regard to health and safety? How do you think the Minerals Industry Safety and Health Centre (MISHC) can support industry in dealing with these challenges and ensuring best practice? UQ in general has the capability to provide diversified research in so many fields and MISHC has the opportunity to bring this capability and quality to the Mining Industry like no other facility. MISHC has a great group of people with a proven track record over the past 20 years in delivering results to the mining industry. By partnering with other faculties and expanding the application I am sure that MISHC can continue to provide industry with pathways for improvements in health and safety. What do you hope to bring to the director’s role? I hope that my industry experience and the network of people I have established throughout my career can help all SMI's Centres maintain and improve the access we have to mine sites and to mine site management teams. This access to people and assets is essential to ensure we have accurate and factual data if we are to keep delivering research that is applicable at the face. I would hope also that my background allows for the maintaining and improving of close ties with the people so that we can deliver education and training for improved health and safety results. You have been with the Sustainable Minerals Institute for almost one month – what are your first impressions? A great group of people and together a fantastic team. In my first week I had the opportunity to be in the audience for Eric Stemn’s PhD presentation, this was the best introduction I could have had. It was a clear indication of the value of good research. I believe Eric’s work will transition to significant improvements in the industry in Ghana which will mean a safer workplace. What better impression can you get of a place if it is delivering this as an outcome?